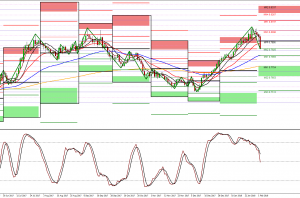 A technical view of GBPUSD and GBPJPY with new weekly pivot points. Bears that sold at the 61.8% want that to be a lower high with a target of MM1. Bulls that bought at MM2 want to drive price up to MM4. Apologies for the cluttered chart. 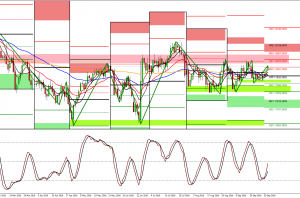 Price will be opening at WPP support with a bearish H4 stoch. 1.4050 is resistance and in the sell zone giving bears a target of WM1. If price breaks WPP then the next level of support for bulls is WM2, which is the role reversal of last week's previous high. Price is still at the monthly target for Feb and has not broken below 148.000. The weekly pivots on the S&P 500 and Nikkei indicated bearishness for the week though bears on this pair certainly don't have their price unless we take H4 weekly pivots into consideration. 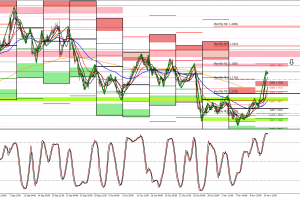 The H4 21 is in control and price has not completed a double bottom. 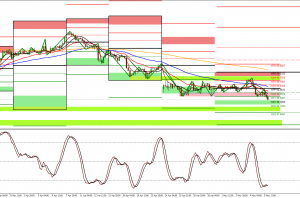 Bears have resistance at WPP and at WM3 with targets of WS2 and WM1 respectively. Confluence of MS2 and WS1 could setup a double bottom though price is not coming down off the 55 so a lower low is predicted by the 21.